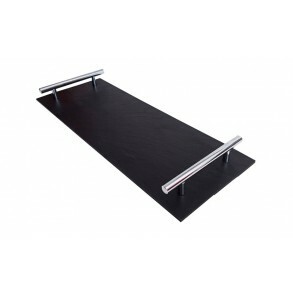 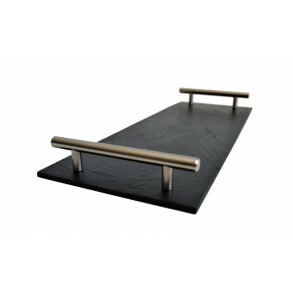 Rectangle Slate Platter EXCLUSIVE With Gilt Steel Handle. 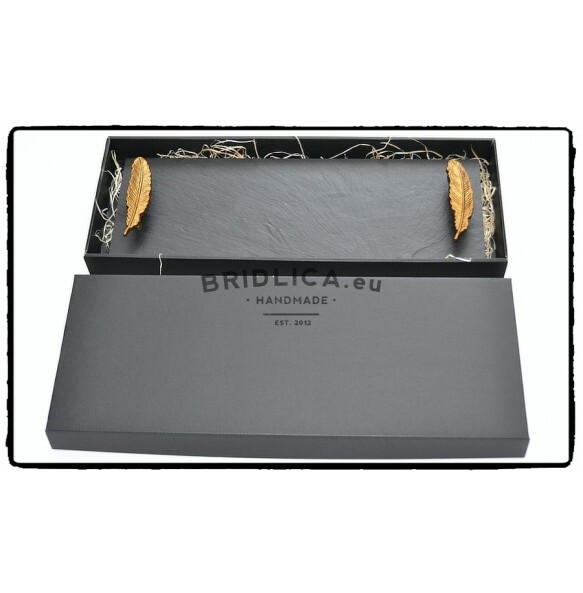 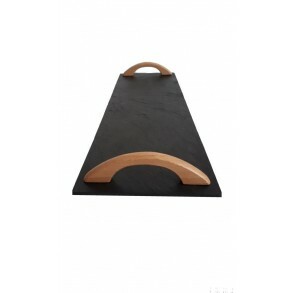 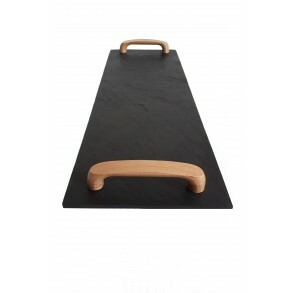 Platter made from natural slate is right choice as a supplement to the kitchen and dining-room for serving sushi, sweets, cakes, bonbons, pralines, fruits, biscuits, canapé. 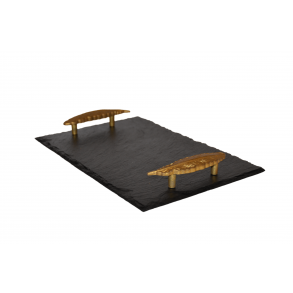 Note: there are pads in packaging to protect the table form scratches. Set is delivered in gift packaging. 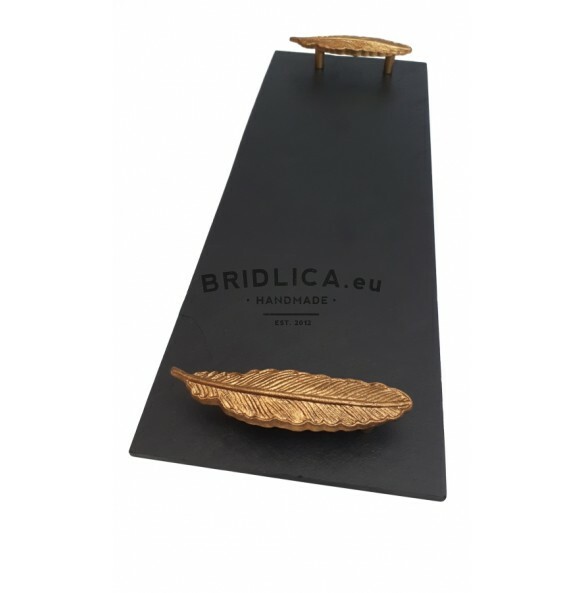 Rectangle Slate Platter EXCLUSIVE Chrome 44x16 cm type B.
Rectangle Slate Platter EXCLUSIVE wood beech 44x16 cm type A.
Rectangle Slate Platter EXCLUSIVE wood beech 44x16 cm type B.